Rosacea is a chronic skin condition that is characterized by flushing and redness, bumps, and skin sensitivity appearing on your central face. 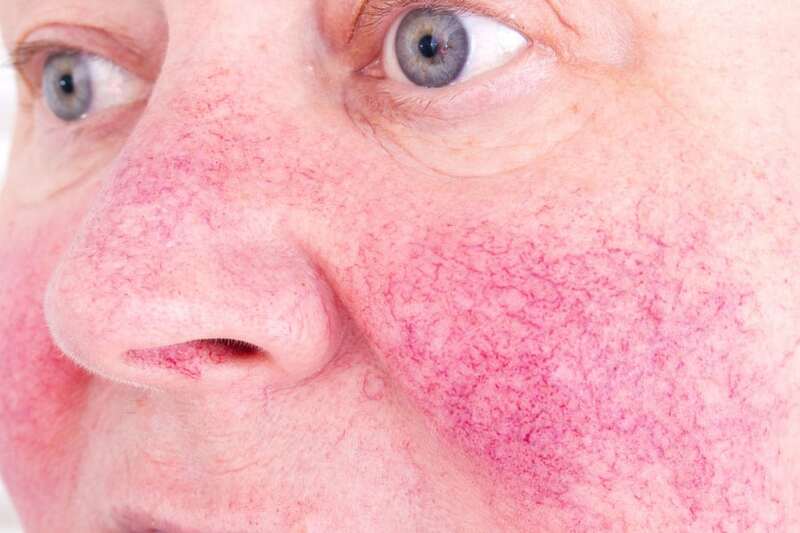 Rosacea most commonly affects adults over the age of thirty. At the Aesthetic & Dermatology Center, we have pioneered the latest advances for rosacea treatment in our clinical trials and our board-certified dermatologists are able to give you access to the latest treatment. During a consultation with your board-certified dermatologist, the severity, location, and type of rosacea that you have will be evaluated. After discussing your health history and your thorough examination, your dermatologist will create a personalized treatment plan. Effective treatment depends upon a personalized treatment plan that will be tailored to you specifically. At Aesthetic & Dermatology Center, we are devoted to giving you the high-quality, individualized care that you deserve, and you will always be treated by a board-certified dermatologist. If you are experiencing any of the symptoms listed above, visit Dr. Lawerence Green, Rockville’s and Washington D.C.’s leading dermatologist, for a thorough examination and a customized treatment plan that is specialized to help you reach your optimal state of wellness. To determine what treatment plan is appropriate for you, call our office today at (301) 610-0663 or request an appointment online.